With 'Iyewaye', the first solo-EP after the release of his fifth album 'I am OK' last year, Oliver Koletzki shows himself in a new, but not altogether unfamiliar light: since his breakthrough in 2005 with 'Der Mückenschwarm' Koletzki hasn't sounded this hard. Gone is the pop-angle, replaced by a dark sound-aesthetic and raw energy. 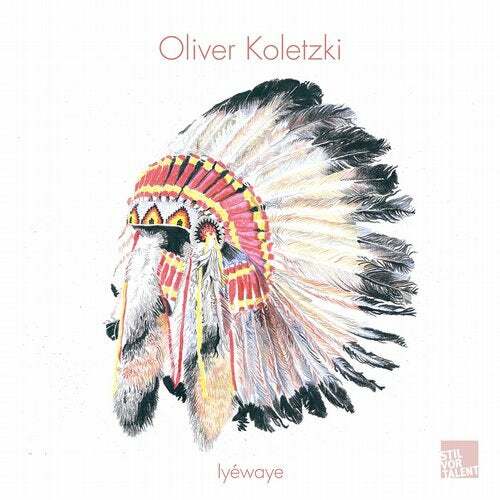 But even here, in the Techno realm, Oliver Koletzki demonstrates his inimitable sense for melody: thus, the gloomy and driving framework of 'Iyewaye' is lit up by a crystal-clear synth-sequence. Similarly, 'Ipuza', which hypnotizes by way of reduction and repetition, is funky in its core thanks to a rolling tribal groove. Functional, but with heart and soul.